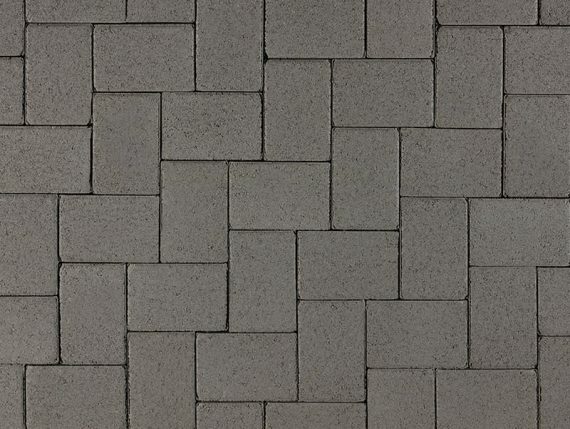 French Gray (special order), 12x12 foreground and Charcoal 6x6. 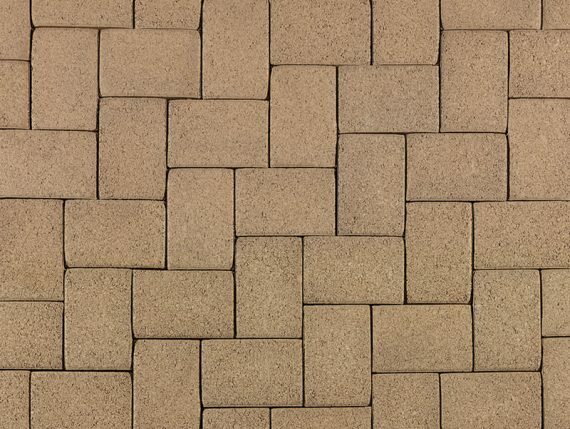 Solid Brown 6x6 and 50-50 field mix of cream/brown/charcoal and gray/moss/charcoal in a venetian parquet pattern. 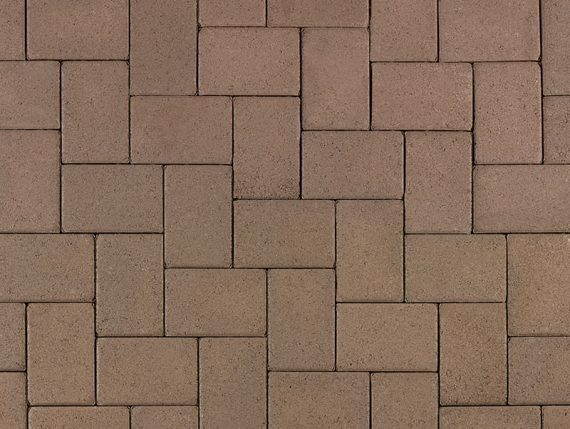 Solid Cream 6x6 and Cream/terracotta/brown Symetry® installed in a venetian parquet pattern. 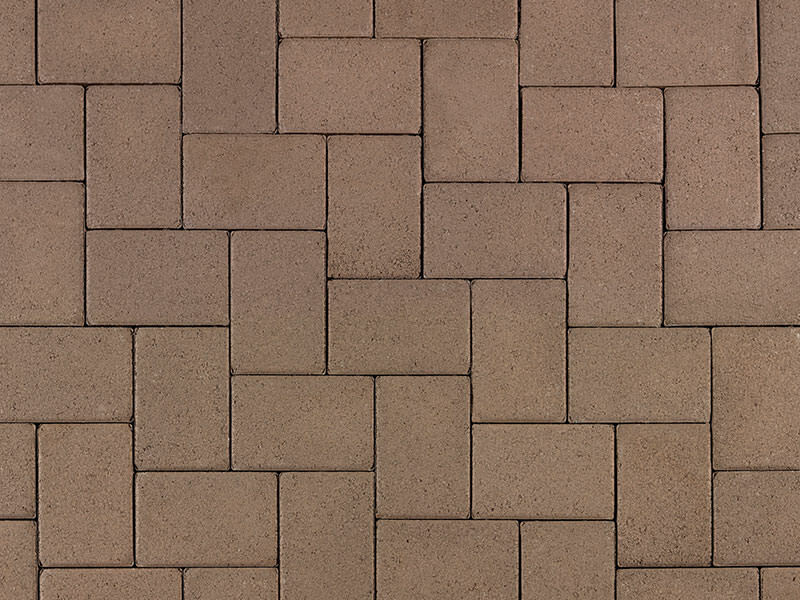 Solid Cream 6x6 and Cream/terracotta/brown Symetry® installed in a venetian parquet pattern with solid cream holland border. 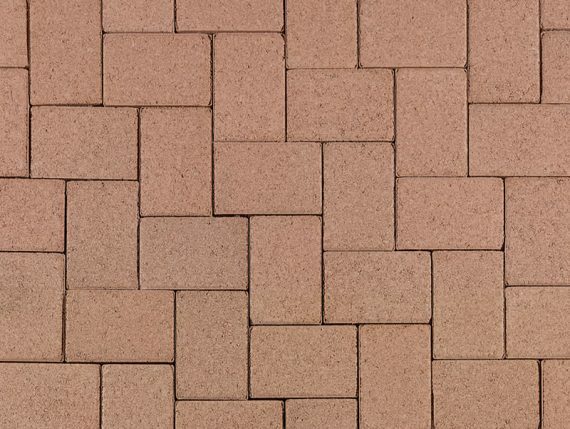 Simple, smaller scale paver to complement its surroundings. 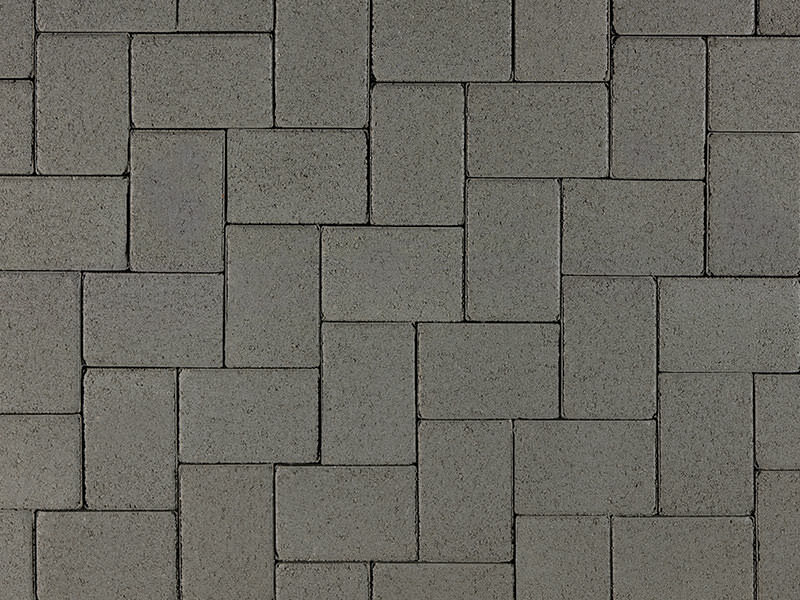 The 6 x 6 Square has the traditional flat top with chamfered edges. 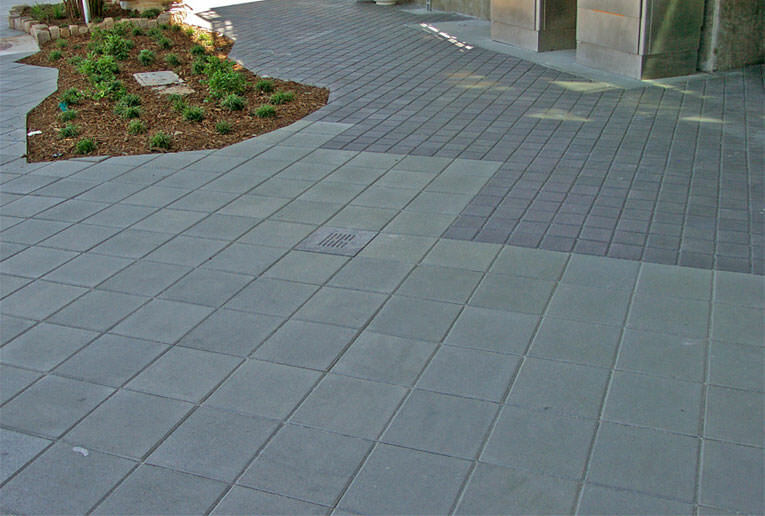 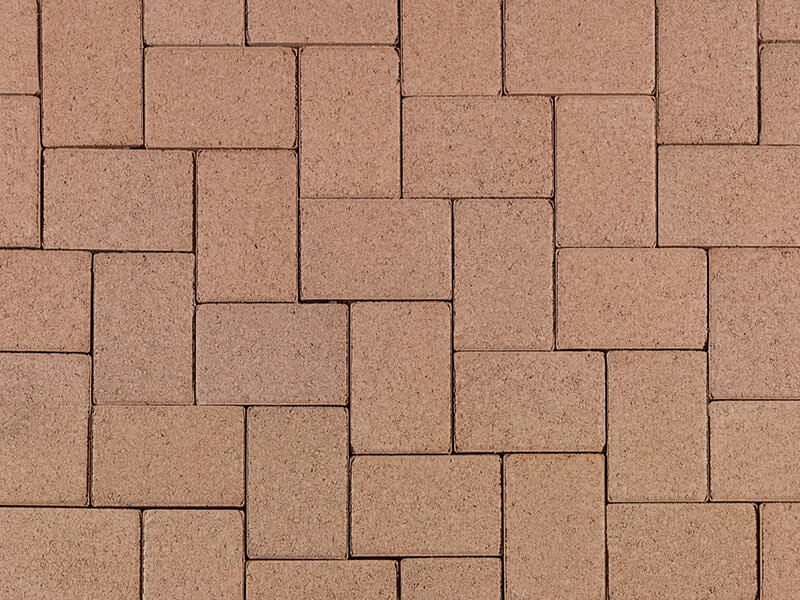 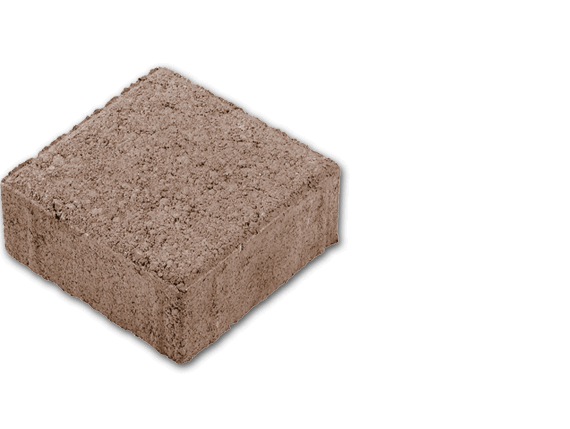 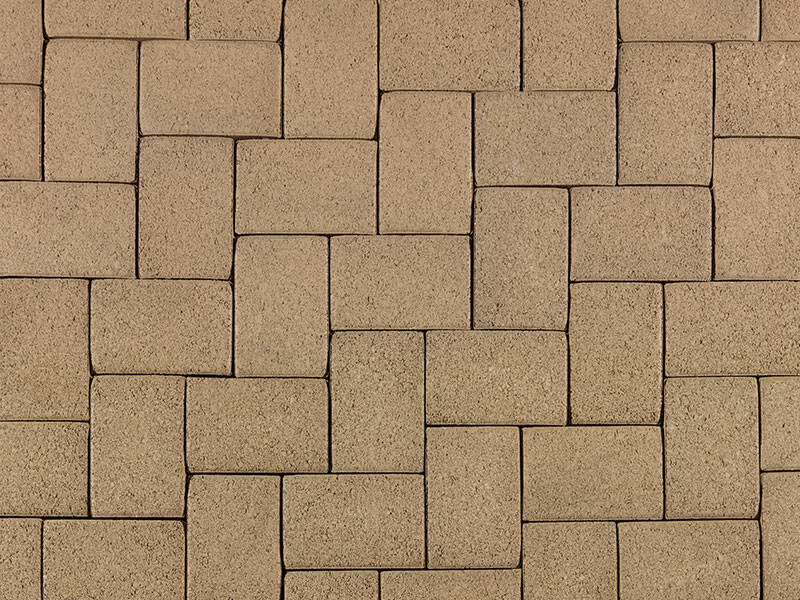 It is also used in ashlar layouts with 6 x 12 and 12 x 12 pavers, and as an integral component in most Symetry® layouts.